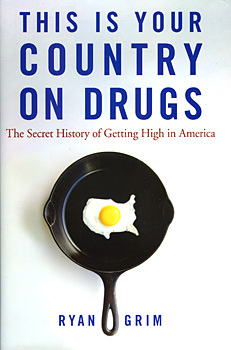 Seven surprising consequences of the U.S. approach to drugs--find out the facts in This Is Your Country on Drugs. Past antidrug campaigns actually encouraged drug use. A few years ago, America stopped dropping acid altogether. The meth epidemic peaked a long, long time ago. NAFTA opened the border and created a bonanza for cocaine and meth traffickers--just as President Clinton knew it would. President Reagan may have inadvertantly caused the crack epidemic. Kids today are doing fewer illegal drugs than kids from any time in the recent past, and for a surprising reason. The fastest-growing drug in America is a legal hallucinogen you can buy on the internet.